Women took to the streets of London on Saturday, November 22, for the 10th year to reclaim their right to walk the streets safely without fear of being attacked. 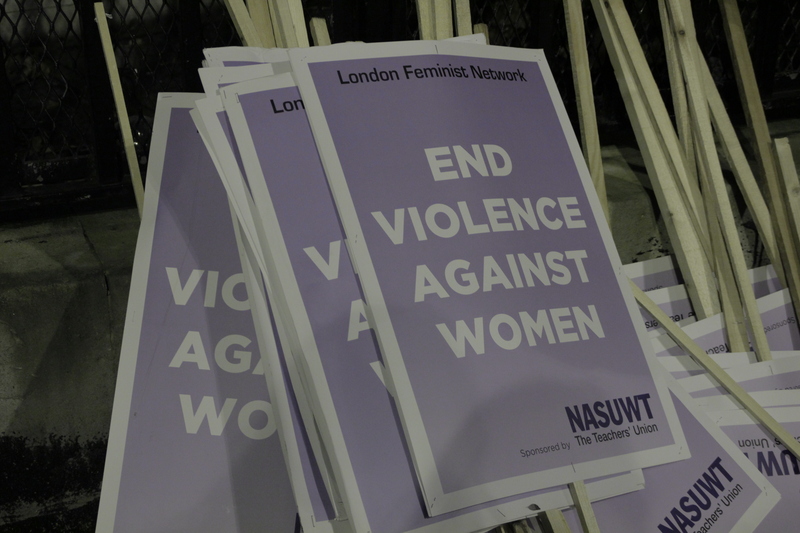 Approximately 500 women attended the Reclaim the Night march in London, according to the police, joining in the annual event created to mark the United Nations Day to End Violence Against Women. Elaha Walizadeh, a KU student and the NUS London Women’s Officer, said she supports Reclaim the Night because she is passionate about challenging society’s norms and culture. She said: “As an activist, I strongly believe in the power of protest. I participated because I think we still live in a patriarchal heteronormative society where street harassment and cat calling is considered normal. KUSU’s Women’s Officer Allison Taylor said Reclaim the Night is important to show solidarity and to highlight how feminism is still crucial to society. She said: “I believe it is important to show solidarity for this cause. It is such common thinking that events like Reclaim the Night, or even feminism for that matter are no longer worthwhile or necessary causes. At the end of the march at the Camden Centre, Euston Road, people such as Finn Mackay, the Founder of London RTN and a feminist campaigner, and Frances Scott of 50:50 Parliament gave talks on feminism and on why Reclaim the Night is still important 10 years on. Frances Scott, who is campaigning for a 50:50 balance between men and women in Parliament, said the reason she participated in the march was because “if women want to be heard, they need to stand their ground”. Kingston Christmas lights. Turned off by the turn on?